Vernice Lee Dickerson Seawright, 87, a longtime resident of the Falkner community and wife of the late Bruce Marsh Seawright went to be with her Lord and Savior in the comfort of her home on March 21, 2019. Funeral services honoring the life of this Christian lady will be at 2 PM Sunday, March 24 in the Heritage Chapel of the Ripley Funeral Home with her much loved ministers, Brother David Sloan and Joan Sloan, officiating. Burial will follow in the Little Hope Cemetery at Falkner. Visitation will be Saturday March 23 from 5 PM to 8 PM at the Ripley Funeral Home. She was preceded in death by her husband, parents and one son Jerry Seawright of Falkner. Survivors include her daughter Maria Hill ( Brad) of Falkner, her sons Ronnie Seawright of Corinth, Torri Seawright of Sherman and Mickey Seawright (Amy) of Falkner. 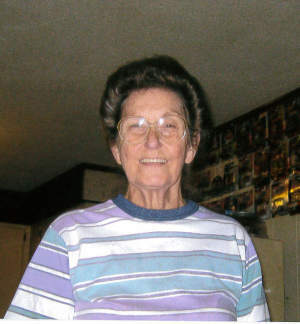 She also leaves a brother Travis Dickerson, 13 Grandchildren, 32 Great Grandchildren and one Great Great Grand-daughter.